Totally Awesome Because: I love the texture of this scarf. 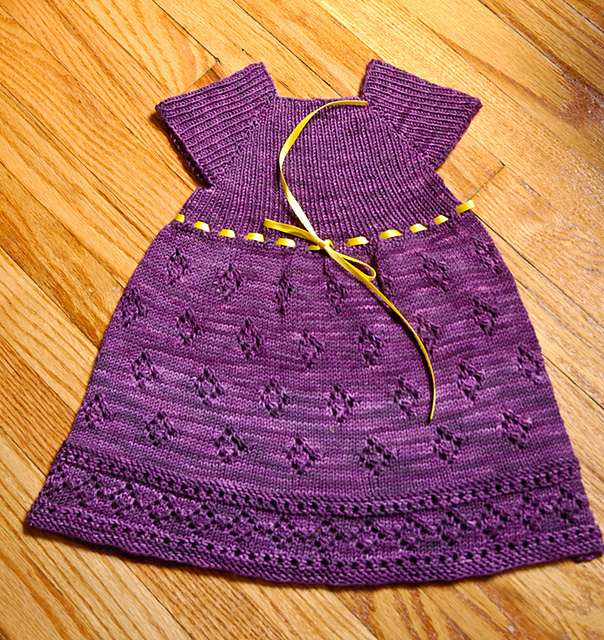 The eyelets, the vertical ribbons of stockinette, it's gorgeous. 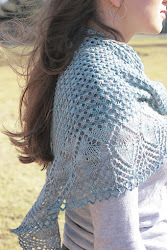 And the colourway is such a great choice- I love the tiny hits of aqua and white in the light grey yarn. Let's take a close up look at the squishy softness, shall we? 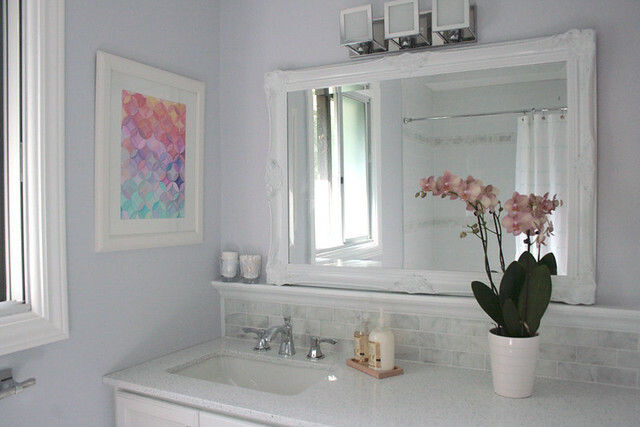 Project page can be found here. Still caught somewhere between holding on to the end of summer and looking forward to the cooler days of fall, I can't decide wether yellow is decidedly summery or super autumnal. Chris loves yellow, I didn't think that I was such a fan until I noticed that a few of my current favorite things are yellow. 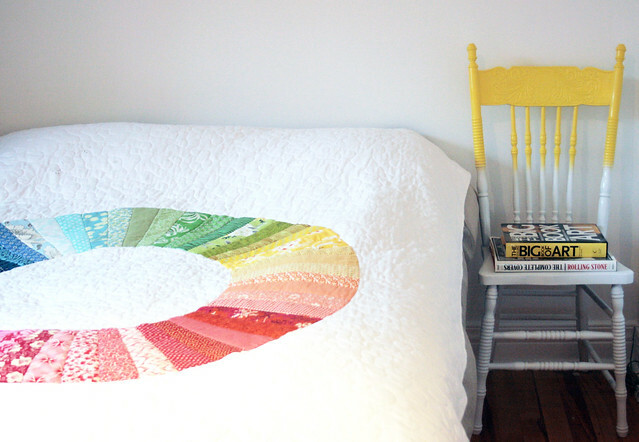 The chair that I recently spray painted that now lives in the guest room. My new shoes! 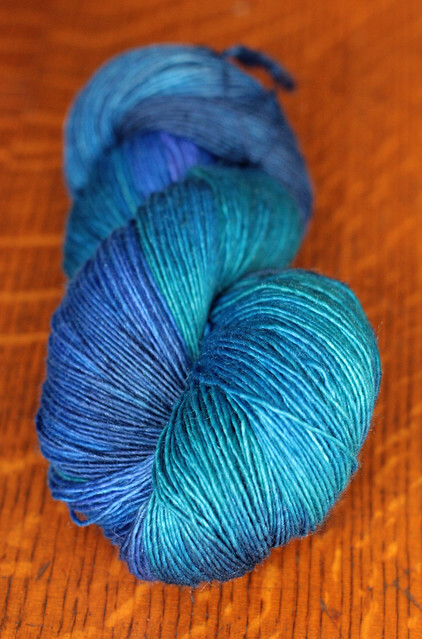 And this beautiful colourway (details to be revealed soon I promise!) There's just something about a warm, golden yellow that is perfect for this time of year. Stockholm Scarf - A fall staple! I am so torn. Part of me wants to hold on to every last bit of summer for as long as I can! I love that I can run out in my bear feet and not get frost bite, I love the feel of the hot sun on my skin, slow evening walks to the ice cream shop. Summer is wonderful. But.... 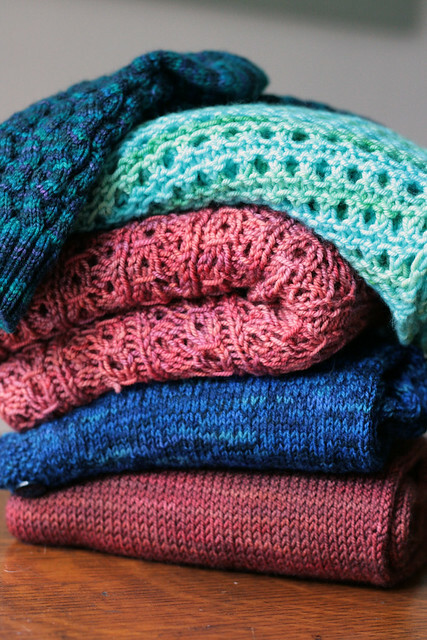 I want to wrap myself up in knits! I can't wait for fall to arrive! I knit Julie's Stockholm scarf back in June, and it's taken me until now to take FO shots. It's just been way too hot for wool scarves! This is a great pattern and a perfect pairing for this yarn. I used TFA Yellow Label DK Weight yarn in the Sunset colourway. I knit mine in the round. 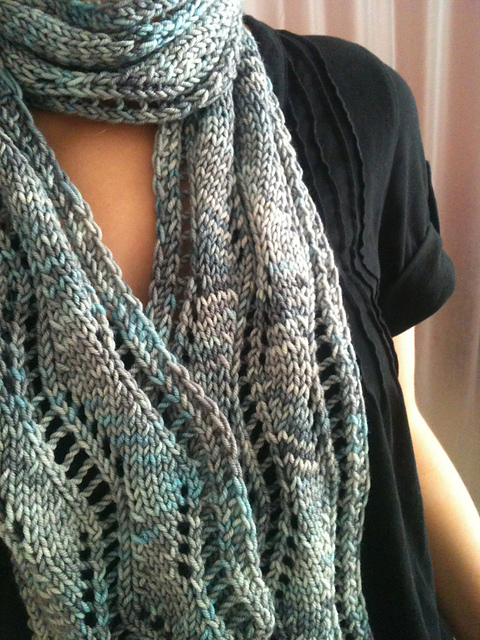 I used all of 2 skeins, I just knit until I ran out of yarn and ended up with a gorgeous, generous scarf. 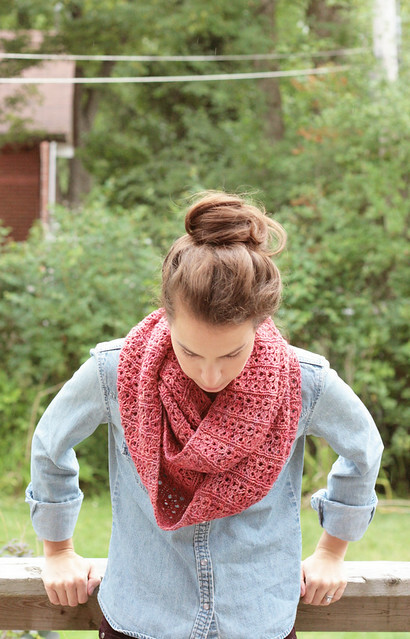 It's warm, cushy, pretty and is sure to become a fall staple. 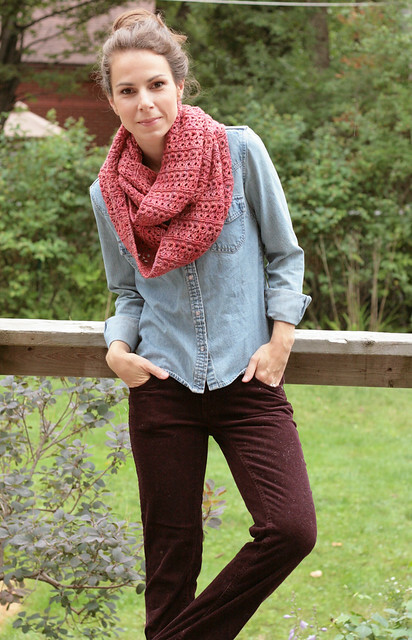 I've been dying to do a proper FO shoot for a while now, and though it's certainly not cool enough for the outfit I'm sporting in these shots, plum coloured corduroys and a jean shirt are exactly what I feel like wearing with this awesome scarf! I finished these socks while on vacation this summer. I'm glad I had them with me because I always underestimate how chilly the Nova Scotia nights can get. We had a few rainy days where these socks came in very handy. 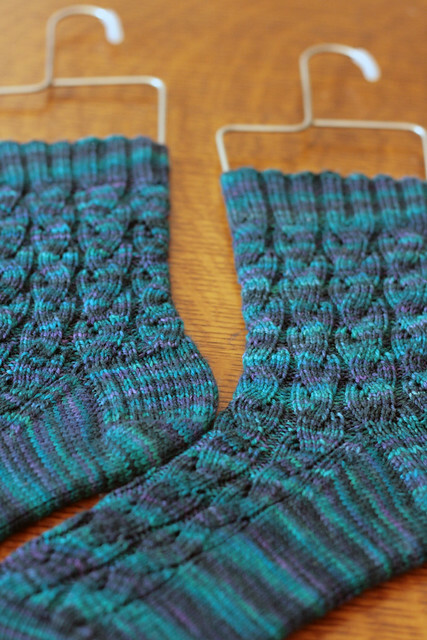 This is the River Rapid Socks pattern knit in TFA Purple Label Cashmere Sock yarn in the Teal colourway. 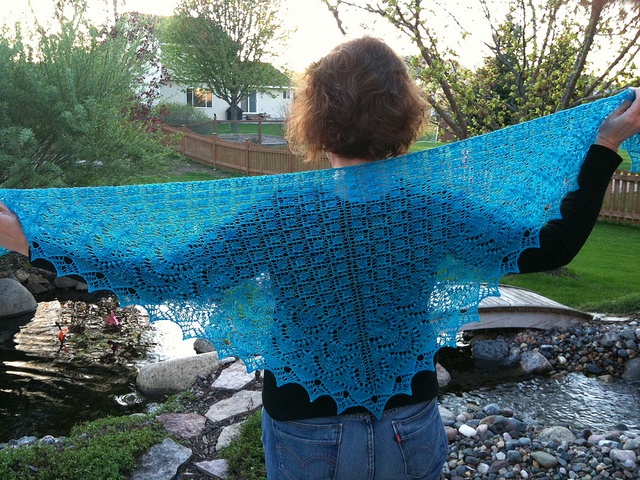 You may recognize this lace pattern from my "zigzag lace" phase. 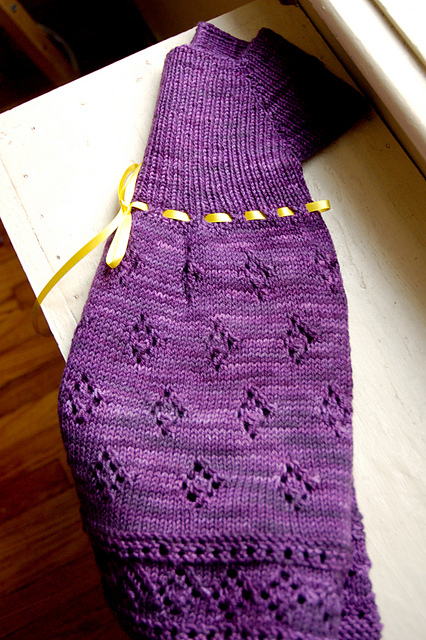 I knit this cowl and this sweater featuring this very lace pattern right before I cast on for these socks. 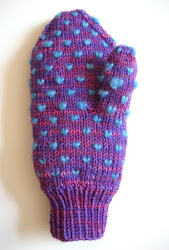 I had intended to improvise a design featuring the motif, but then found this pattern waiting for me in my queue! 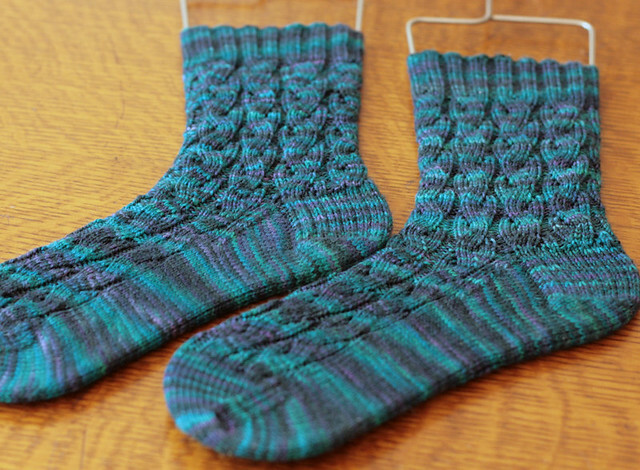 Great pattern, great yarn, great socks! I'm very happy to have them. Totally Awesome Because:Even people who aren't that jazzed by handknits (I know, I can't quite believe they exist either!) 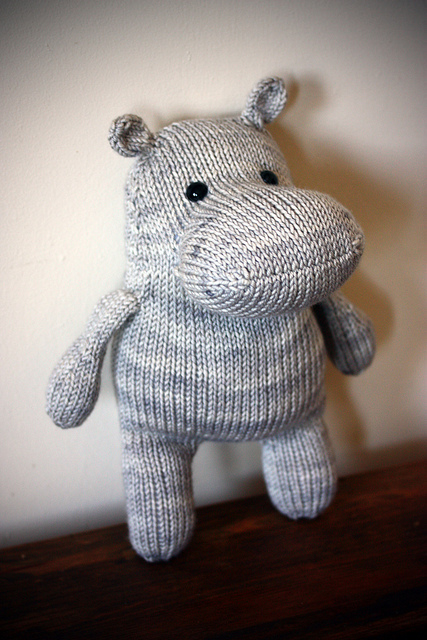 are totally crazy about hand knit stuffed animals. 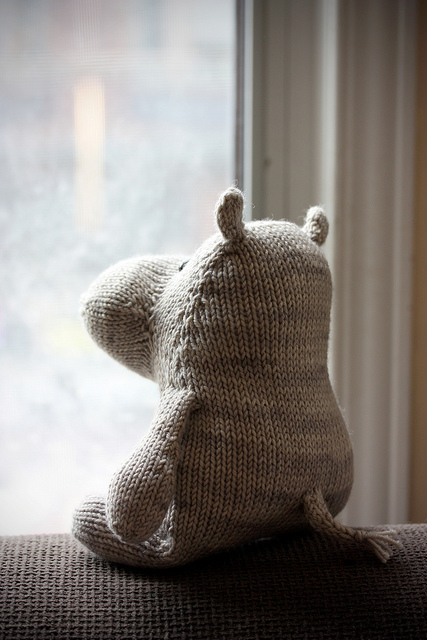 Brandi's hippo is absolutely adorable, and it was hard to pick only two great photos for the post! 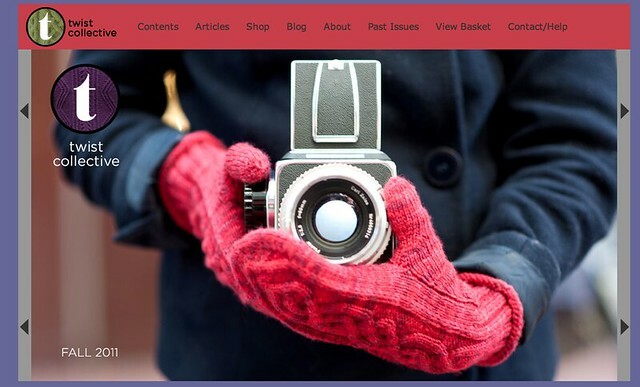 Project page with more super adorable photos can be found here. I spy something new and something blue. 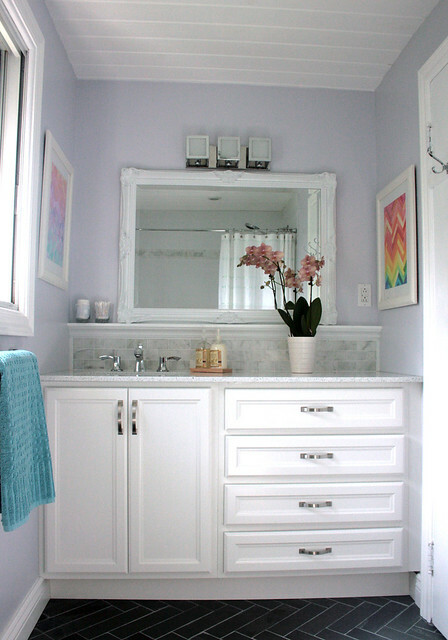 I spy with my little eye... something that is single ply! Hmm hmm good. Just a reminder that today is the last day to order any of the products that I'll be discontinuing! Around my cottage in Nova Scotia, farms are abundant. 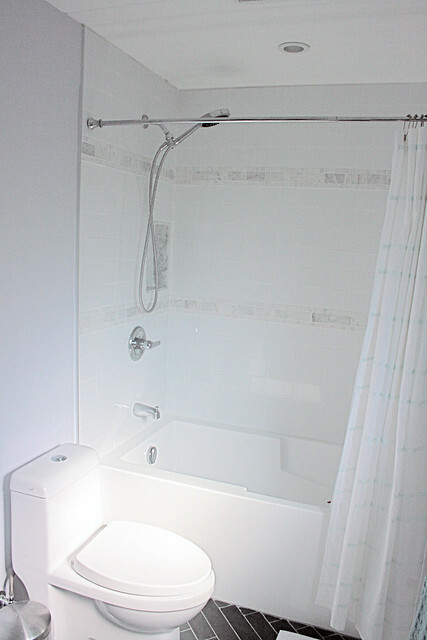 The properties often have several old, weathered barns and a beautiful old farm house. They are perched on top of rolling hills overlooking the ocean, with big green fields with cows or sheep grazing. Right across the street from my cousin's cottage was a pasture that they were calling the cow "maternity ward". It is where the farmer was grazing all of his pregnant or recently birthed cattle. It was adorable! A lovely pasture with tons of the cutest baby cows you've ever seen running around, following their mothers. Chris and I stopped to just look at them several times, baby cows are so sweet. And there are sheep too! We made our annual pilgrimage to the Lismore Sheep Farm again this year. There were baby sheep, and even baby Highland Cattle there this year. I had a chance to chat with the very friendly owner of the farm and to see his workshop where he makes the most beautiful wooden needles, the River John Needle Company. Chris and I each bought a sweaters worth of yarn. Last years haul became this and this. 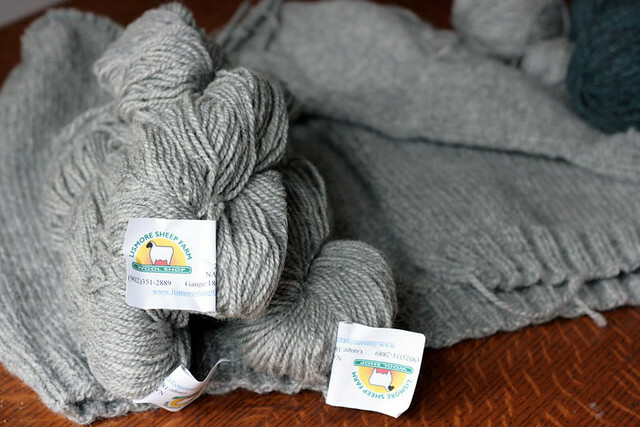 Chris has already started turning his beautiful light grey yarn into another Brownstone sweater, this time with a few mods to turn it into a cardigan. You can see in the corner of the shot below a darker blue/grey ball of yarn, that's the colourway I picked up. It's a stunning, blue/green/grey yarn, it reminds me a bit of Stormy in the way it can look different depending on the light. My mom grew up on a beautiful farm in Nova Scotia, and it sounds like the perfect place to live. Of course, from what I hear, farming is one of the hardest jobs in the world... so for now I think I'll settle for just visiting farms and admiring the pastures from the road. After all, I love my job. Chris and I easily made the transition back into our regular TFA routine. The racks have been full all week, and with all the orders coming in for fall there is no sign of them emptying any time soon! Chris and I are officially back to work after having spent a record 19 days on holiday! Granted, 2 of those days were spent in the car, making the 11 hour drive to our family cottage in Nova Scotia, but still, getting 19 consecutive days off is pretty grand. We beat last year's record by 1 day. This year we did a lot of the same things we did last year, you can read all about our cottage life here. We had a great time. We've come home rested, tanned and rejuvenated. We're officially ready for another big year. I'm happy to be back at work, I don't like being away for too long. 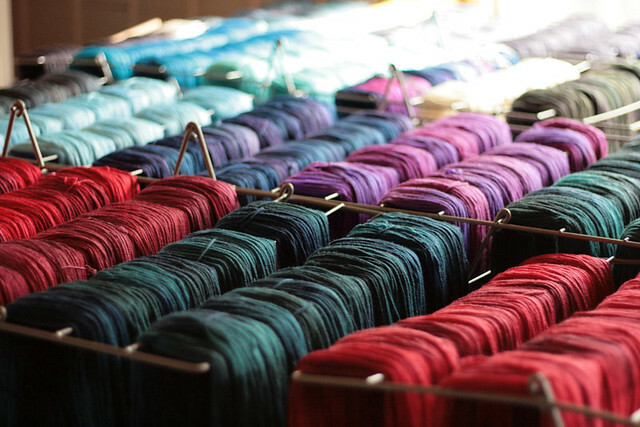 Things pile up, people need yarn! Unfortunately, I have a terrible habit of doing absolutely nothing while on vacation. I completely tune out. I did get some knitting done on a few rainy days, which was nice, but other than that I read, I sat, I walked, I chatted, I played games... I brought a stack of FO's, fully intending to do awesome photo shoots, but when push came to shove I just couldn't make myself do my hair, put on makeup and style an outfit to do the knitting justice. So the pile came back home with me and will have to be photographed here in Montreal instead of on the beach in Nova Scotia. Next year I'll take more photo's! Famous last words... 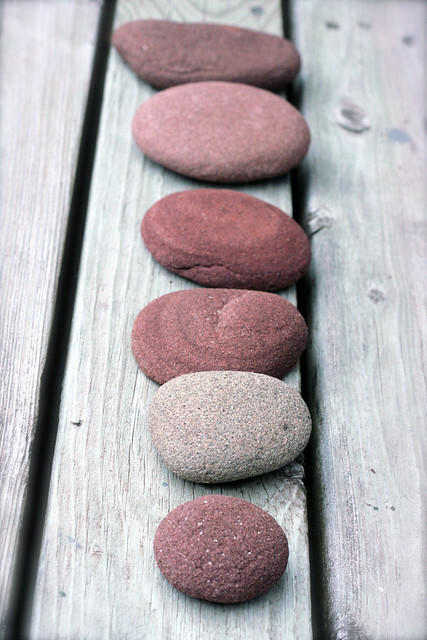 I did snap one pretty shot of a few rocks that my 5 year old god-daughter and I collected. 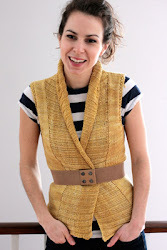 I am very excited to have my yarn featured in a new pattern designed by Elizabeth Doherty for Twist Collective's Fall 2011 issue. 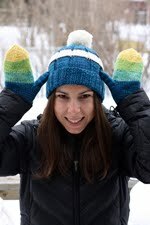 Not only are her Litchfield hat and mitts set adorable, they made the cover of the issue! How exciting is that!? 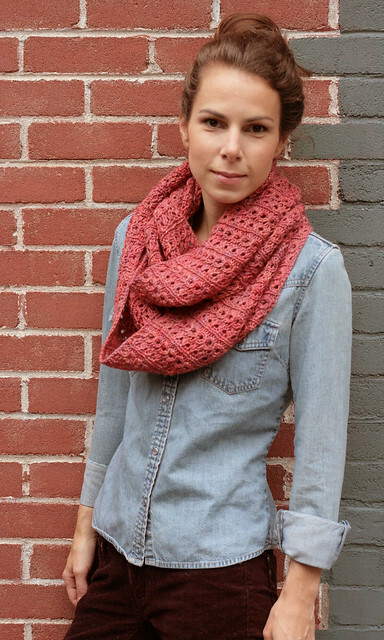 The pattern features Yellow Label DK Weight yarn in the Poppy colourway. 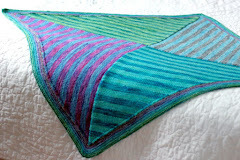 Totally Awesome Because: Bright shawls are so unexpected, because it juxtaposes a really traditional shape and style of knitting with a modern pop burst of colour. This shawl is gorgeous in keeping the classic design, but doing it in a bright shade makes it fresh and more applicable to your wardrobe. 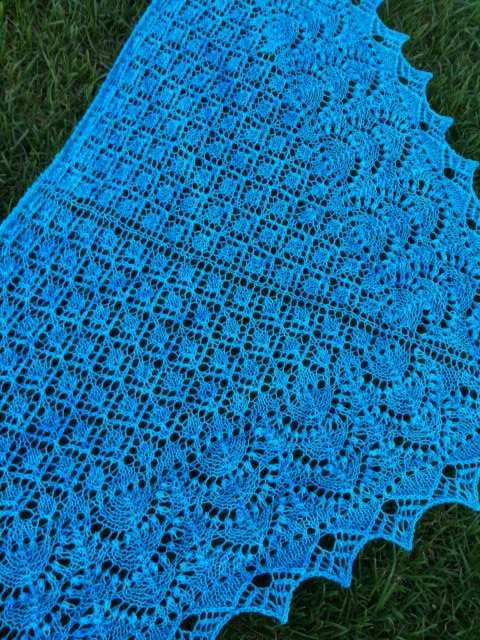 I love this shawl- it looks beautiful and that is the kind of blue you can get lost in.